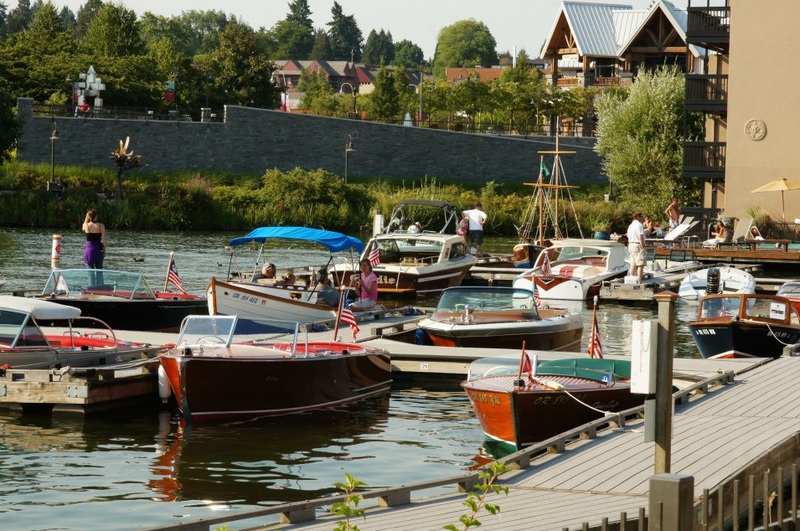 Classic boat and car enthusiasts share their passion with the public at the 15th Annual Oswego Heritage Council’s Collector Car and Classic Boat Show Saturday and Sunday, August 16-17 in Lake Oswego, Oregon. While you may not have the moola to put together car collections like these fanatics, (did you know that 98 percent of Ralph Lauren’s 60 plus car collection is red and that the Sultan owns more than 7,000?) you most probably do appreciate a well cared for classic. You’re in luck. Fortunately local collectors are willing to bring their treasures to you instead of hiding them away like the Sheikh Hamad Bin Hamdan Al Nahyan in a pyramid shaped garage. Collector cars and classic boats will be on display at The Oswego Heritage Council’s 15th annual Collector Car and Classic Boat Show on Sunday, August 17 from 10:00 a.m. to 3:00 p.m.
●The pre-show begins on Saturday, August 16 from 10:00 a.m. to 5:00 p.m. Highlights include: tours of the world’s only usable PT boat at the Foothills dock on the Willamette River, a vintage water ski show at 3:00 p.m. in Lakewood Bay and classic boat parade at 4:00 p.m.
●On Sunday, you can view over 300 collector cars and motorcycles at George Rogers Park; over 30 classic boats on the lake at the Lake Oswego Corporation docks; and on-land classic boats at the Foothills Park. PT 658 and a WWII DUK-W will be at the Foothills docks and tours will be provided. ●A free shuttle, provided by First Student, Inc., will run continuously throughout the Show to all three venues. Admission to all three venues is free to both car and boat owners and spectators. ●Sundeleaf Park will be the site of a large model boat display and free wooden boats for kids to color and float and take home. ●The awards ceremony for the cars will be at George Rogers Park at 2:00 p.m. and for the boats at Sundeleaf Park at 2:30 p.m.
●The Lions Club will be providing food for both breakfast and lunch. If your taste in classic includes older homes, let me give you a tour of some of the classic homes for sale in Lake Oswego. Just give me a call at 503.939.9801. This entry was posted in Things to Do in Lake Oswego. Bookmark the permalink.